Product prices and availability are accurate as of 2019-04-07 16:14:15 UTC and are subject to change. Any price and availability information displayed on http://www.amazon.com/ at the time of purchase will apply to the purchase of this product. 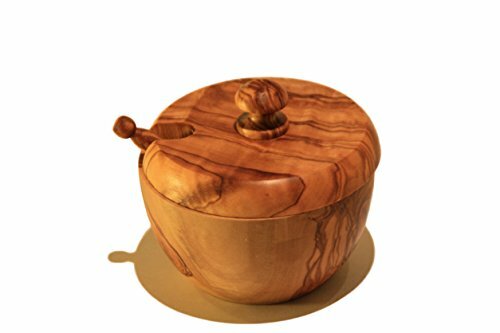 This naturally beautiful and durable salt cellar is lovingly hand-crafted from Mediterranean olive wood. Olive trees that are no longer productive are sustainably harvested for our artisanal kitchen products. Each unique piece features the striking, swirling patterns of the olive tree's twisted trunks. Olive wood is extremely hard, dense and non-porous by nature, possesses antibacterial qualities, and is resistant to odor, making it ideal for serving bowls, cutting boards, and other kitchen utensils. And the rich grains and textures of olive wood give each piece a unique and beautiful quality. 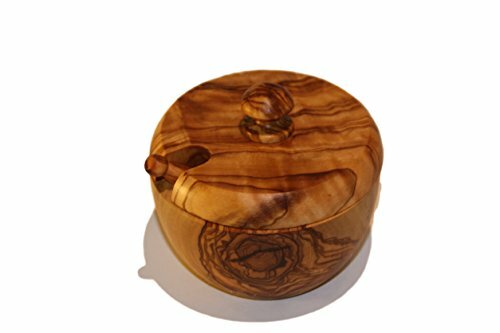 Exquisitely hand-crafted from sustainably harvested Mediterranean olive wood, and treated with olive oil Perfect as a salt cellar or sugar bowl, adding a dramatic flair and rustic elegance to your table. 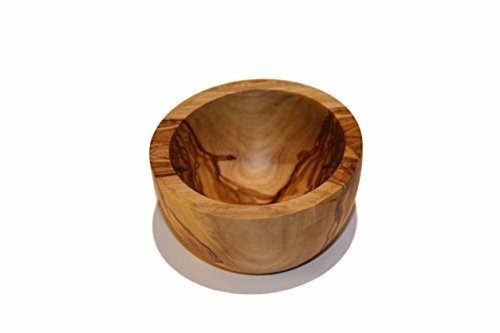 Approximately 3.5" in diameter x 3.5" height Olive wood is naturally very highly durable, non-porous, dense and strong, making it an ideal material for kitchen use. Olive wood is a healthy, eco-friendly alternative to silicon or plastic, is more enduring than bamboo or other woods, and is both functional and beautiful to behold. Please Note: Each item is hand-made and unique, therefore product images are representative of the style of the product but the item you receive will differ slightly in pattern.